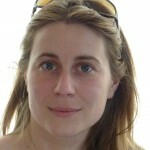 Catherine Mendonça Dias is a lecturer and researcher in linguistics and French as a Second Language at the University Sorbonne Nouvelle – Paris 3 and research laboratory DILTEC. Before, she was a French teacher for migrant young pupils and also taught migrant teenagers who never (or barely) attended school previously and were illiterate in their native tongue. At the same time, she was a trainer for teachers in primary and secondary Education, about migrant pupils’ scholarship and French as a Second and scholar Language didactics. Mendonça Dias, Catherine (2018). Inclusion of refugee students in Europe, Roundtable, ECER Bolzano, September, 2018. First, the number of young migrants who come to France without or barely speaking French is increasing year-on-year. About 52 500 multilingual learners recently arrived have been identified during the academic year 2014-2015, which corresponds to 0.56% of the French school population. But this number is lower than other host countries. Only a little percentage are refugees. In France, compulsory education concerns pupils between 6 and 16 years old. The enrolment into primary school for children from 3 to 11 years old is done at the local town hall while the teenagers have to go to the Academic Centre for Education of Newcomers and Travellers Children (CASNAV), where non-native speakers are evaluated in reading and in mathematics, in their native tongue or their previous schooling language. These assessments may be organized also by the Counselling and Information Offices (CIO). The results enable professionals to choose a regular class and to determine the language support that may be provided. At the same time, information may be given to families but, although there are some official translated documents about national school system (that are downloadable on internet), it is uncertain that families get enough information through these papers and during a short meeting. Enrolment may take time, several weeks or months, especially in the secondary level, because asylum seekers have to wait for an accommodation and to get a personal address, which is mandatory for administrative procedures. But also, in some areas, it takes time to obtain a meeting to pass the test, and afterwards to receive an authorization to enrol a class. Finally the school may have been chosen because there’s a special reception class to learn French as an additional language but it may be far from home, so that children would have to travel on a bus for one hour, for instance. We would like free public transport for these children who make a daily trip with anxiety but the best is probably that they are educated in the establishment near their home, and that language support is provided. The situation is more complicated for young people over 16. For them, school is not mandatory any more in France. But they have the right to go, of course. Beside there are very few reception classes for this public, so that it becomes really difficult for them to join a class, especially if they want the mainstream schooling: instead, they are rather enrolled in a vocational training. The ones who speak barely French or had seldom been at school in a previous country meet more difficulties and may be unschooled, notably when there is no special section and no language support. Actually, since newcomers may arrive at any time of the year, high schools refuse new registrations because there is no place any more. Furthermore some teachers are reluctant to receive them: they feel untrained. Public establishments should provide some places for pupils who arrive at any time during the school year. A referent teacher could facilitate inclusion. Children of asylum seekers and unaccompanied minors face more problems. For instance, a lot of unaccompanied minors are waiting for their their minority to become official in France… and that may last several weeks, and even months, sometimes they have reached their majority when they get a positive answer. During this period, some of them remain unschooled and sometimes unsheltered. Until this step, they are not taken in charge by the competent public service (ASE) and they can’t have a school enrollment without a legal tutor. Afterwards, because of their legal status, they can’t have access to apprenticeship or to a job. We notice that high schools with reception classes receive more quickly non-native speaking students, sometimes illiterate students with a very low academic level, and these reception classes avoid unschooling. In France, special pedagogical classes have been created since 1970. Since the last circular in 2012, newcomers should attend regular classes and most of them are also enrolled into French specific courses called “Unité Pédagogique pour Elèves Allophones Arrivants” (UPE2A), which could be translated as follows: pedagogical classes for non-native speakers who have arrived recently in France. The UPE2A are opened when there are enough newcomers, that is why these UPE2A are rather located in the big cities and seldom in rural areas. According the last statistics, 76% newcomers were enrolled in a UPE2A. Some are reserved for children who have barely attended school previously. Today, these classes offer intensive courses of French as an additional language (FAL) during approximately 9 hours per week in the primary schools and 12 hours per week in the secondary schools. Moreover, in this specific schedule, other courses are eventually added depending on the settings and local resources. Frequently, there are mathematics courses considering that students didn’t pursue the same program in their previous country or some of them have a lower level than children of native descent. The goal is to improve advanced content knowledge but also, to acquire the language of schooling necessary to understand in class. The rest of the time, children are in regular classes, but sometimes inclusion is difficult because of their school level, or their behaviour, or because of the number of pupils by regular class, so that teachers refuse to welcome newcomer. The UPE2A is only for one school year even though educational policies promote continuous specific language learning for multilingual students with such needs. Only young previously unschooled and illiterate students can be registered for two years. Anyway, they seldom have educational support, for the following academic year. There is no mandatory program for these special classes and also no compulsory requirement for the students at the end of the session. That is why teachers are very free but also very isolated to organize their teaching. In the secondary school, they are French teacher and most of them have a specialization more or less relevant in French as a second language. Theoretically, they should teach also in an ordinary class in order to keep a link with the regular scheme. There is no study guidance in their mother tongue by a foreigner teacher as it was sometimes the case in the 70’s with special courses. This kind of courses has been suppressed because their organization was criticized by French educational policies and Europe. However, students may choose their language as a second language if it is taught in their school (like Portuguese, German… but, very few languages in fact) and they are authorized, even encouraged to use their native language to help them to learn French. In the reception class, some of teachers are still now without training about teaching to non-native speakers. According to the official text, these linguistic issues should not be restrictive to migrants but extended to every pupil with special needs, therefore pedagogical adaptation might be done by every teacher and not only few of them. This conception of the roles and tasks is assumed and communicated through the circular 2012 transmitted by the Ministry of Education: a specialization in FSL is not required for teachers receiving migrant pupils. Anyway, most of teachers express the need of training (it was revealed in our last research, Evascol). Two examinations of French as a second language teaching exist nowadays: during the initial training, the French language teacher can do an oral test (since 2013) and during the on-going training, every teacher is concerned and can take a professional examination (since 2005). Actually, that is examinations but not necessarily a training! In the reception class, mathematics teachers are not adequately trained to teach language abilities, contrary to French teachers. Then mathematics teachers experiment in their classroom different ways to teach multilingual newcomers. Moreover in the ordinary class in which every pupils must be since their arrival (with their own adapted schedules), teachers seldom receive a specific training, except perhaps language teachers. It appears that the threshold level B1 in writing (in accordance with the Common European Framework of Reference for Languages) is necessary to gain a chosen scholarly orientation. In order to achieve this, three years of learning is needed for non-French speaking pupils at least and it must be considered that the progress depends mainly on the initial scholar competences (these results appear through my research, Mendonça Dias, 2012 & 2018). In only one year, they can’t manage to reach a sufficient linguistic level in order to attend regular class without any educational support. Our last research has proved this consequence once more. However, we can’t completely agree with the expression “lost generation” (Curl) because some pupils, children of asylum seekers, manage to succeed at school despite the terrible events they suffer and the life conditions in France (some families are homeless during a period). From my point of view, it would be more exact to say the “injured generation” because of their previous life and the bad conditions in France. Last week, a family and 2 children who lived for 4 years in my city were expelled to Albania because the asylum application has been rejected. It is violent for these children who were schooled in France, for their classmates, for the teachers, for a lot of citizens who defended their case. Teachers are coming out of their teaching mission but, despite their involvement, a more structured educative team is needed at school to accompany young migrants for their social, physical and psychological needs. Inclusion can’t be summed up by enrolment in a class, without doing anything with such vulnerable children. Robin, J. & Touahir, M. (2015). « Année scolaire 2014-2015 : 52 500 élèves allophones scolarisés dont 15 300 l’étaient déjà l’année précédente », Note d’information n° 35, octobre 2015, Direction de l’Évaluation de la Prospective et de la Performance (DEPP). En 2015, les trois pays les plus représentés sont le Soudan, la Syrie et le Kosovo et la France comptabilisait alors 59 335 demandeurs d’asile en première demande et 15 133 mineurs accompagnants, des chiffres en augmentation. En 2015, la France métropolitaine compte 8 054 MNA, majoritairement des garçons, originaires de l’Afrique subsaharienne. Arrêté du 19 avril 2013 fixant les modalités d’organisation des concours du certificat d’aptitude au professorat du second degré, JORF n°0099 du 27 avril 2013. Note de service du 19 octobre 2004.